In this fantastic turbot recipe Andrea Berton cooks the fillets in a water bath, resulting in tender, flaky flesh and wonderfully succulent flavour. He adds a delicious crunch with a crisp bread and citrus gratin layered upon a base of thinly-sliced lardo – an Italian charcuterie of cured pig fat seasoned with herbs and spices. 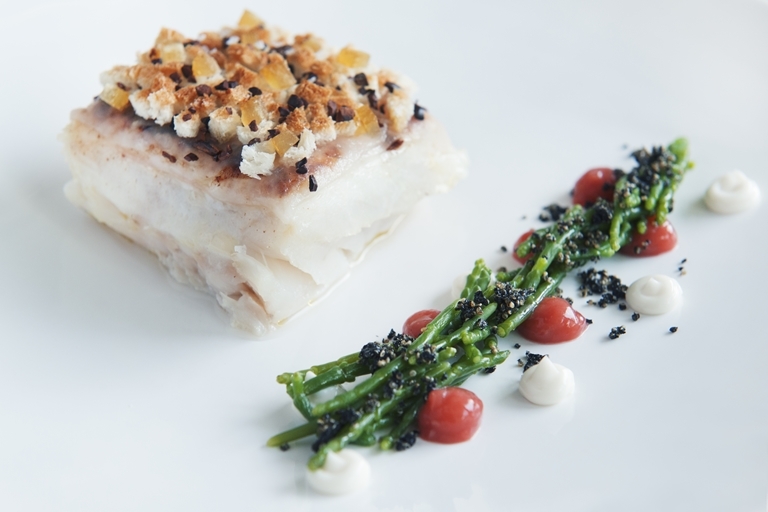 Paired with fresh spears of samphire, fish mayonnaise and a vibrant rhubarb compote, this colourful dish makes a striking dinner party main.